My Name is Chien: Where to Sell your Pre-Loved Goodies? 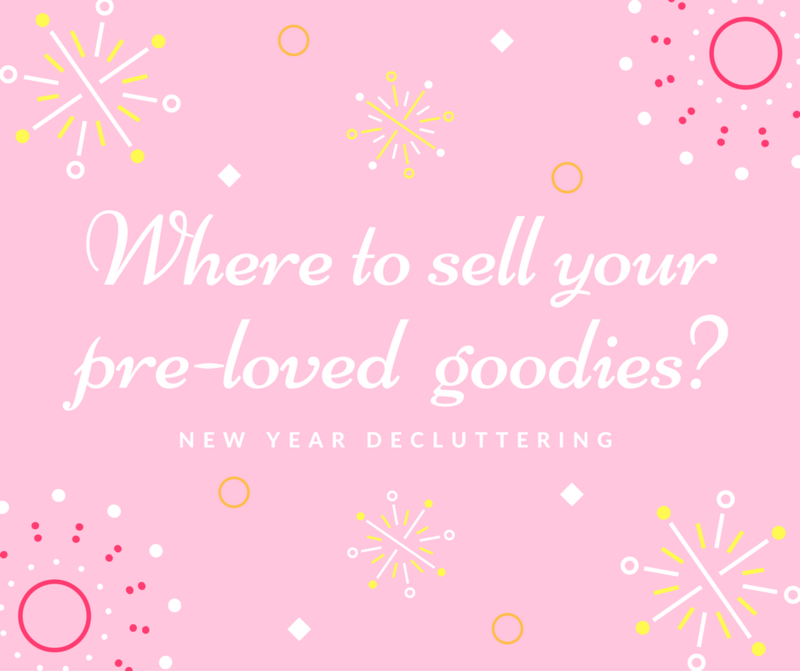 Where to Sell your Pre-Loved Goodies? If you love online shopping I am sure you pretty much remember Sulit and Multiply. Its so fun to shop in the comfort of our home and this is something that I still enjoy doing with the added often promo of Lazada and the likes. However its the New Year and I know most of you have decluttered your closets! You must have seen your unused dress from 2 years ago! Your almost new shoes you have never even worn. We can always do a big garage sale outside of our home but seriously, not everyone have the luxury of time to do that. Luckily, with the power of world wide web we can still make a sale without leaving our home. 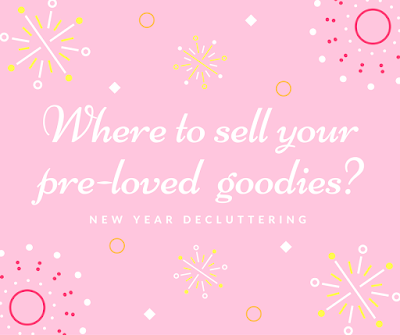 So where to sell your pre-loved goodies? Although a bit old, Ebay is still a place where in you can sell new and pre-loved items alike. Make sure to be cautious on using paypal though and make sure to check previous account feedback! I haven't tried Olx yet but they are the old Sulit and what makes them good is that they list items based on location. If your buyer is in Manila, the first location they will look at is Manila, this makes meet ups easier. You can always opt to do the shipping items route though. My friend have constant sales from this app. I am eager to try it out too. She says authentic stuff can be found here also, you just need to be keen on details. Since we are selling we can also benefit on the abundance of people who uses Carousell. Shopee like Carousell, have a website and an application. You need to download the app to be able to chat the sellers. For new items coursed through Shopee they have the option of being the middleman, like they will only release payment to the seller after the buyer gets the items. This is a nice feature because you are sure to get the item or else, get a refund. It benefits both the trusty seller and the buyer. When you have things to sell, the first people you can offer them to are... your friends! In facebook that is. Your family and friends might be interested in getting some of the items you offer and you will be assured that you are talking to a real person! If you want to extend the number of people who will see your items you can also share it in facebook groups, make your own facebook page. There are a lot of possibilities here! Choose a good background and take a snap! There are a lot of popular shops in instagram and although you are not in for a big business (at least not for now) you can just take good pictures and upload. Bonus is the added hashtags which will make people discover your items. Last but not the list is Girtalk's Marketplace. You can sell fashion and beauty items in lots or per piece. Communication through personal message is also easy. You may want to join because this community is a great place to learn more anything under the sun: fashion, makeup, health and more!